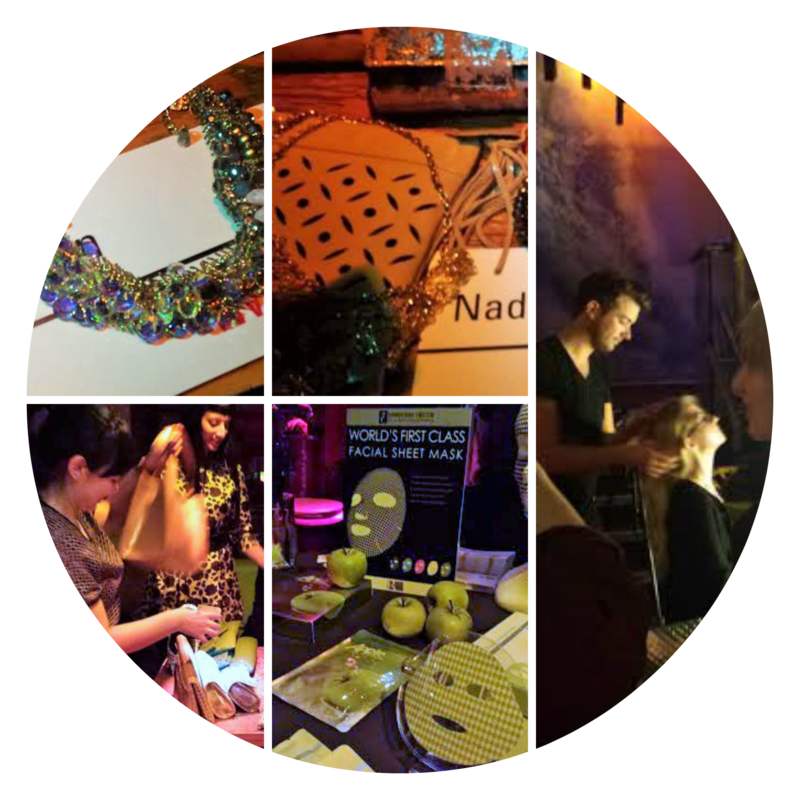 When I was invited to my first Bloggers Love Hub event at Kanaloa I was really excited to be acknowledged as a VIB but at the same time a little bit anxious. In the main, I don’t do anxious but Kanaloa is the place to be for the young and the beautiful. It’s the sister venue to the uber-trendy Mahiki. And well, I’m not either of those things. But eventually, I computed that I hadn’t been invited for those reasons, I was invited because I blog and now and then people have a little read of what I write too. So, accompanied by my daughter for back up I did indeed go to the aforesaid event on Monday. The venue was really buzzing by the time I got there and despite the dim lighting which made viewing the brands and photographing them a challenge I managed to see and meet with lots of familiar faces both bloggers and brands. I got to speak with some lovely people and I want to apologise to those who I haven’t listed here. That’s not because they weren’t amazing but because I wasn’t able to pick up your details on the night for one reason or another. I was lucky enough to be gifted some lovely bits from some of the brands though and I promise to review those very soon, when I’ve got enough daylight to take some decent photos and when I’ve tried out the products. Meanwhile, here’s an update on some of what happened that night. Ooh, that sounds a bit like the opening to a crime novel. It really isn’t. There were stylists available from Umberto Giannini to make us look glam and they were all tooled up with their Glam Hair range. I had a lovely chat about my styling needs and came away with Princess Purrfect Hot Styler Spray and Morning After Dry Shampoo to try. I’d heard of this brand before as I’d been gifted an apple one at a trade show. I’ve reviewed it here. I was interested to find out more though as I’d been talking to Angela, the director, on Twitter and well, we just got on. She told me about the Fusion masks which use a new innovative patented system. Unlike traditional sheet masks, they already have beneficial functions on their own before they are soaked in serum. Ingredients in dried powder form already impregnate the cloth; this is shown as a uniform coloured check formation. The mask combines powder and serum which makes it the ultimate efficient treatment. I’m going to try a Herbal Rejuvenation Immortelle Mask very soon and I’ll let you know how I get on. As a Beauty Blogger, I hadn’t intended to take much notice of the fashion and accessory brands that I saw but I was drawn like a magpie to the stunning jewellery and bags that I saw at the Nadia Minkoff table. They were kind enough to help with the photographic lighting – ok it was just them shining their phone on the necklace while I took a snap with my phone but the thought was there! The In Situ Cosmetics folk were really interesting to talk to and told me about the bespoke skin care that they tailor to individual needs. 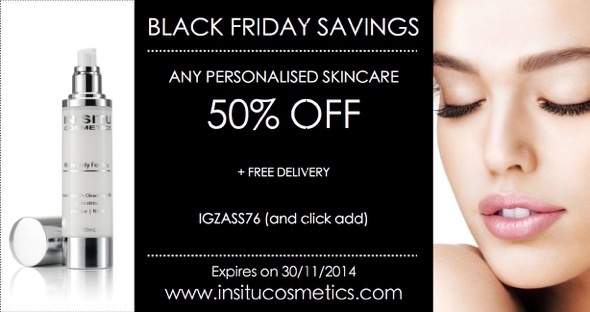 As I write they’ve sent me through a great deal for Black Friday so I’ve pasted the details below for you. You’ll need to be quick! Just before I left I was lucky enough to see some of the fashion show pieces from Apricot and Eva Cammarata. It was a really interesting setting for a fashion show and really rounded off the evening’s experience nicely. I went home happy, if only just a little bit disappointed that I didn’t source any of the cupcakes that were promised! Do look out for my product pics and reviews. Were you there too? I’d love to hear what you think.